England Girl’s Under-18s Head coach Bill Baillie was delighted with the performance in the Tri-nations tournament against under-21 sides from Australia and Scotland. England won two matches and drew one, digging deep in the game against Scotland to come back from a two-goal half-time deficit to win 36-31. Baillie said: “This has been a really good tournament for the under-18s as we take our first steps towards preparation for the Cell Cup in August. “It is always good to win the games but more importantly the girls worked hard towards our goals and showed improvement in each game, especially in the Scotland game where they had to come from behind in a tough "Battle of Britain". 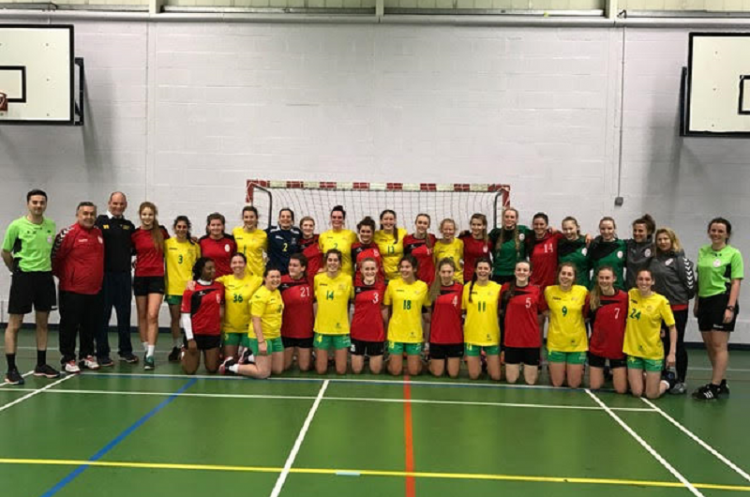 Australia coach Adrian Van Bussel said: “We are really pleased to be here in the UK and get to experience first-hand the level of handball in the England. “We are in the early stages of our junior women's programme and this has been a great experience for the girls. “I was impressed with the level of the England under-18 girls and we are looking forward to our matches against club sides. The success the England side enjoyed was thanks to great performances throughout the squad. In particular Athalia Ibanga finished as England's top scorer with 18 goals and was excellent in defence. Rebecca Brookes also played well on the left wing, beating the keeper 15 times – while Olivia Gonsalves impressed at playmaker and finished top of the assists. Megan Gibb also caught the eye in attack and defence after only taking the sport up 14 months ago. All three goalkeepers shone and are showing good progress. Australia beat NEM Hawks Under-18 side 27-12 in the first of their matches against North-West club sides. They play Liverpool at Greenbank on 10 January at 21.00.